I love a good dupe, especially an affordable one. 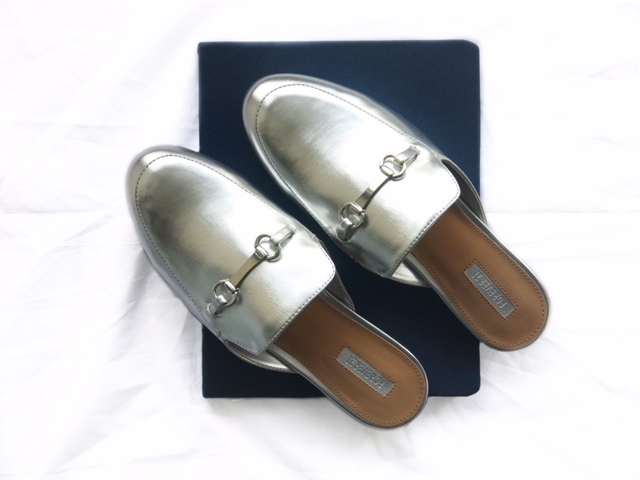 During my last visit to New York City, I ventured into Forever 21 ( because the ones there are just pure amaze-balls ) and I came across these beautiful Metallic Mules. They also come in Gold, but since I wear more silver, I figured they would be the better option. These beauties will be styled for display on the blog soon. You know, once the weather gets a little better! Until then I will be keeping an eye on them, despite their taunting. You can purchase these beautiful dupes here. You can also shop different styles down below! 6 STEPS TO CREATING A SUCCESSFUL BLOG POST!